I feel like living in Upstate NY has its advantages in the summer! It does get hot and humid, but I think it’s way more bearable then a lot of places down south. I don’t think there has been a day where I have to hang up my sneakers because it’s too hot. Running outside can be a daunting prospect when the sun is beating down on you for sure. 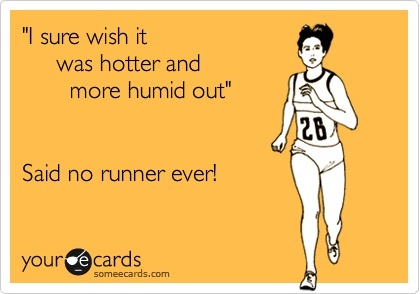 Here are a few of my tips for running in the heat! It's the coolest, most serene part of the day, and there's nothing like a morning run to boost your mood all day long. Make it a priority to drink at least 8 oz. of fluid each hour, and more if you're outside or tend to perspire a lot. You'll run better with adequate fluid intake, and you'll feel better, too. By keeping your water storage high, you'll also improve your body's cooling mechanisms and keep cramping at bay. You need to acclimate to the heat in a safe and gradual manner, not haphazardly. You can go longer on cool mornings or evenings. In 10 days to two weeks, you should be fully acclimated. Wear light-colored, loose-fitting clothing. The former will reflect the sun's rays better; the latter will enable you to take advantage of any breeze, including the one you make by running. The new sports-specific synthetics are better than cotton, too. They stay drier and wick moisture better than natural fibers do. My go-to this summer are the Go Tank and the Hail Mary Tank, which is unavailable, but this is very similar . Both are from Oiselle. 7. Visor’s are OK for runners! You lose a major portion of body heat through your head, which is bad in winter but good in summer. 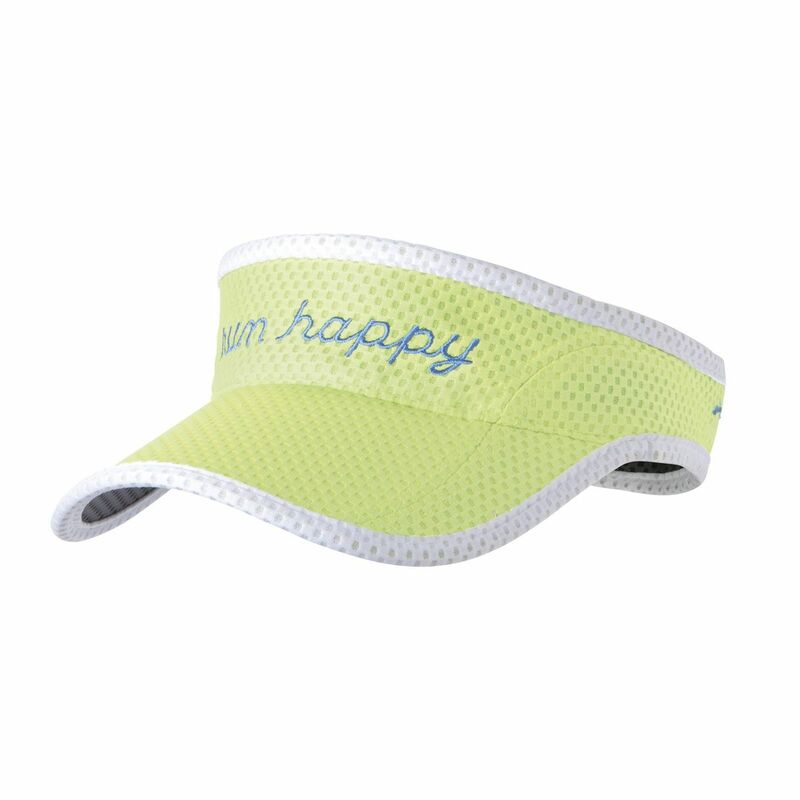 On hot days, swap out your hat for a fun visor (yes, a FUN VISOR) like this Brooks visor I just added to my cart! If you start feeling like you’re over-heating, stop at a water source and dump a bottle of water on your head and down your back. Sweet, sweet relief! This is always tricky for me because I hate seeing slower paces on my watch… I know it’s beneficial, but even more so in the summer. The slower you start, the longer you'll keep your body heat from reaching the misery threshold. If you normally run at an eight-minute mile pace, for example, do your first mile at a 10-minute pace. I like to run a lot of my run on the bike path about a mile from my house. It’s by the river so there tends to be a nice breeze from that in the early mornings or later afternoon. It’s also pretty shady so that helps a lot! On days that are going to get hot quickly, I run routes that I know have water fountains and convenience stores so I can replenish my water supply if need be. I also will make it point to run by baseball fields or places where there’s hoses with accessible water. TRUST ME WHEN I SAY IT IS THE BEST THING EVER. On longer Runs, remember to bring water along with you! I don’t drink sports drink, but I always have a huge stock pile of Nuun ready to go for my long runs in the summer. I fill my water bottles half way and stick them in the freezer for an hour or 2, fill the rest of the way and they should stay cool for your run! If wearing a fuel belt, I have one bottle for water and the second with nuun. · Headache or intense heat buildup in the head. · Confusion or lack of concentration. 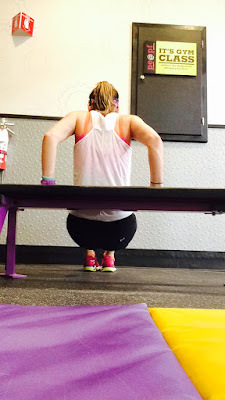 · Loss of muscular control. · Oversweating followed by clammy skin and cessation of sweating. · Hot and cold flashes. · Upset stomach, muscle cramps, vomiting, dizziness. Do your speed training in the morning or evening. Otherwise, you're really going to put a strain on your system. The heart literally beats faster in high heat, as it's pumping extra blood out to the skin as part of the body's evaporation/cooling mechanism. You won't be able to run as fast, so don't try to. 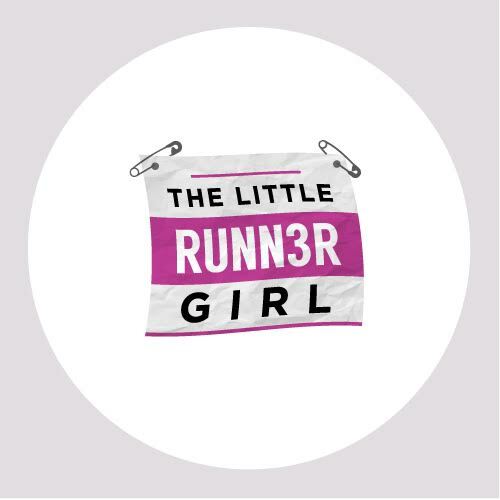 In training and in races, you won't be able to run as fast as you would on cool days. If race day comes, and it's super hot that morning, ease back and treat it as a training run — and drink at all the water stops. Both caffeine and alcohol are diuretics, which means they increase urine output. This puts you at greater risk of dehydration. Since hot weather is already causing you to dehydrate faster, be especially careful about your caffeine and alcohol intake in summer. I tend to drink a lot less coffee during training and I basically cut out all liquor. I’ll have a beer or 2 or a glass of wine after a long training run, but that’s usually where I draw the line. 19. Don’t risk it if it’s too hot! Some days are going to be unsafe for running, especially if you live in an urban area where air pollution is also a concern. On those occasions, consider run inside on a treadmill. It’s summer so it will be hot and humid!! There’s no reason to take your run indoors or put serious training on the back burner. Come fall, you’re going to fly at your race!! So have fun and be safe!